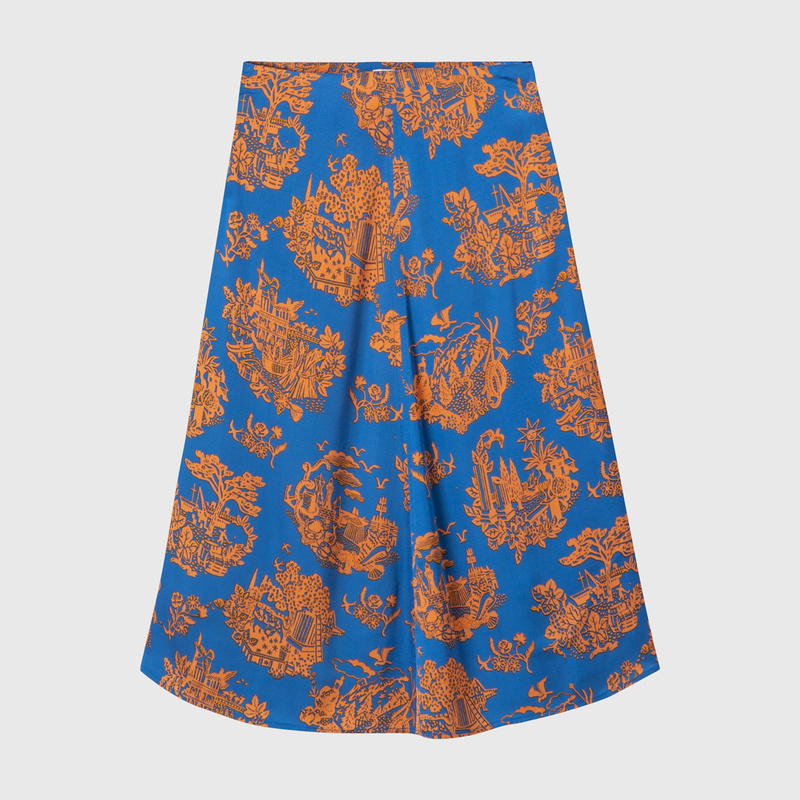 The Rosemary skirt by WoodWood in Tourist blue is a flared skirt made from soft and sustainable Lenzing Viscose® to ensure a light and flowy movement of the garment. The Rosemary skirt by WoodWood in Tourist blue is a flared skirt made from soft and sustainable Lenzing Viscose® to ensure a light and flowy movement of the garment. The skirt features a draped effect at the bottom line, A-shaped fit and a nature inspired all-over tourist print.